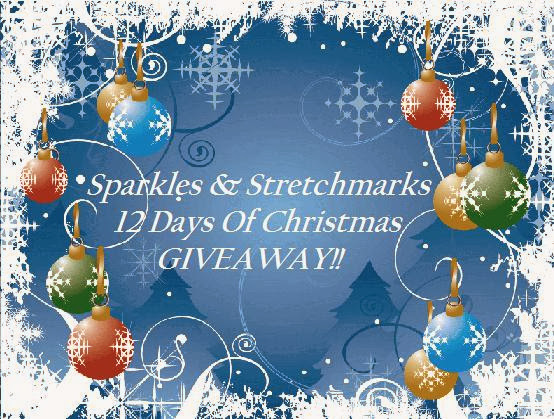 It's Day 2 of our BIG Christmas Giveaway!!! Base Formula , a leading aromatherapy supplier, are offering a a set of Festive Essential Oils which are produced specifically for the Christmas Period. The set includes 3 x 10ml bottles of 100% pure essential oils worth £9.00. Available to purchase online at www.baseformula.com. Christmas Spice: With Cinnamon to warm and restore, Clove to comfort and revitalise and Orange Sweet for its cheery, uplifting effect. Festive Fruits: With Pine for its restorative, warming, cleansing effect, Tangerine to soothe and lift the spirits, Grapefruit to refresh and revive and Lemon to stimulate mind and body. Holy Nights: With Frankincense for its calming, uplifting effect, Myrrh to inspire peace and tranquillity and Lemon to refresh and revitalise. The oils can be used in the bath, diluted for massage or skincare, or for festive fragrancing in an aromatherapy diffuser or oil burner. As well as the benefits mentioned above - the antimicrobial nature of the essential oils will also be beneficial for keeping colds and flu at bay! To enter this giveaway, just fill in your details below! I would love to win these to help make my house smell lovely and get me into the Christmas spirit rather than being in a baa humbug mood! These look amazing! :) Love a good christmas scent! So it smells like christmas! These sounds lovely! I'd like to win as they'd make my house lovely for Christmas and make a change from the scented candles! Winter scents are my FAVORITE and I am always looking for new things like this...I've heard these oils are really good, and I'd love the opportunity to test it out! My little one had really bad colic when he was 3-4 months old and I used to use baby massage and aromatherapy to help relieve it. He is now 16 months old but still loves his incense sticks wafting round the room while Mummy gives him a massage. He regularly falls asleep mid massage. I would love to win these festive oils to put a bit of festive spirit into our Mummy son bedtime routine. I am pregnant and seem to have a permanent cold - these would be great help! Mask the smell of wet dog's. My family always comes for Christmas which adds an extra three dogs to the household. These would help. I want to try them in my oil burner at Christmas. I would love to win to add some festive spirit to my house and wake me up - I'm pregnant and due not long after Christmas so could do with something to invigorate my senses. Just the thing to get a nice smell in the house full of basset hounds. I love Aromatherapy. Haven't come across these oils before, seems a nice idea for the festive season. I've never tried festive essential oils before so am curious! I'd like to win because, like many others, financial pressures mean I feel far from festive. Lovely prize. Good luck everyone. To create the right environment for all the senses! This would definitely help my hubby get into the festive mood and would really top off having (hopefully) the perfect Christmas. I love the Christmassy smell of pine trees and cinnamon around the house. I just love the smell of Christmas!!! because i could do with something nice to chill out with! Love the wintery scents, would be fab! Love to get the house smelling all christmassy. I love to make home made gifts and these oils would provide a platform for room scents, bath bombs, candles, scented wreaths and many more special items to make my friends and family feel special. I would love to win, as I think aroma's are a really great way to relax, and unwind. The lovely scents would make me feel relaxed, and would make my home seem inviting and festive. Because my house would smell of christmas...mmmm lovely!! I love to burn oils, especially in winter when it is dark and cosy. I love burning oils and having a christmas scent would really get me into the festive spirit. I would love to burn them to make my house smell of christmas. we bought a second hand sofa and despite fabreeze and carpet cleaning its a bit musty still..so until it drys and airs more..these whould be fab! I'd love to win as I spend a fortune trying to mask the smell of my two rather large stinky dogs! My home will soon look very Christmassy but it needs to have that festive aroma too! Lovely fragrant oils in my burner will do the trick!! I just love the smells associated with wintertime and Christmas especially cloves! Would love to win so my house smells like Christmas!! I work as a massage therapist and have an oil burner lit most days, this would be lovely and seasonal!